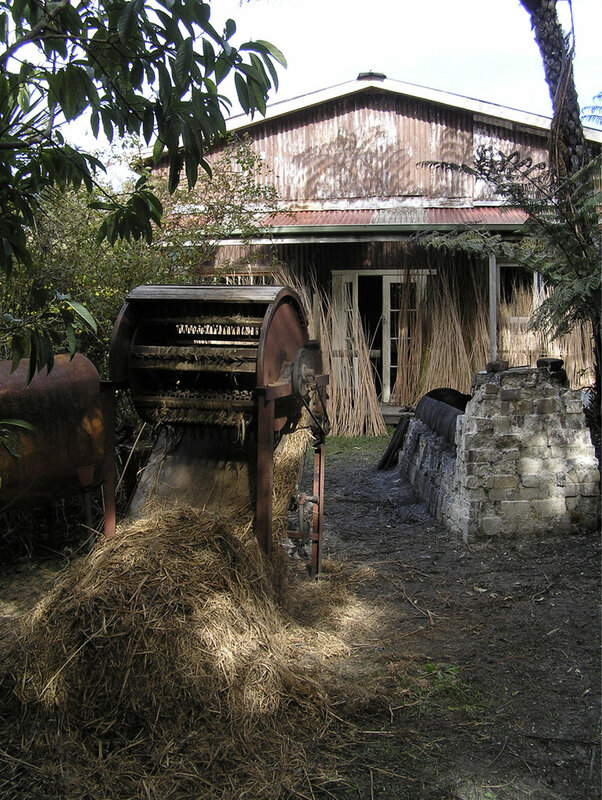 I have been making willow baskets in Onekaka, Golden Bay for more than 35 years. The ancient craft of basketry has long intrigued me. With natural materials and few tools I can produce beautiful, functional items. In an increasingly complex world it is very grounding to get back to basics and make by hand a product that is both eco friendly and useful. Producing something non- toxic, which has a very small carbon footprint is extremely satisfying. Indeed, my willow plantation is a genuine carbon sink and the baskets themselves are made from plants that have been busy sequestering carbon all year, an extra feel good bonus when you purchase a basket. 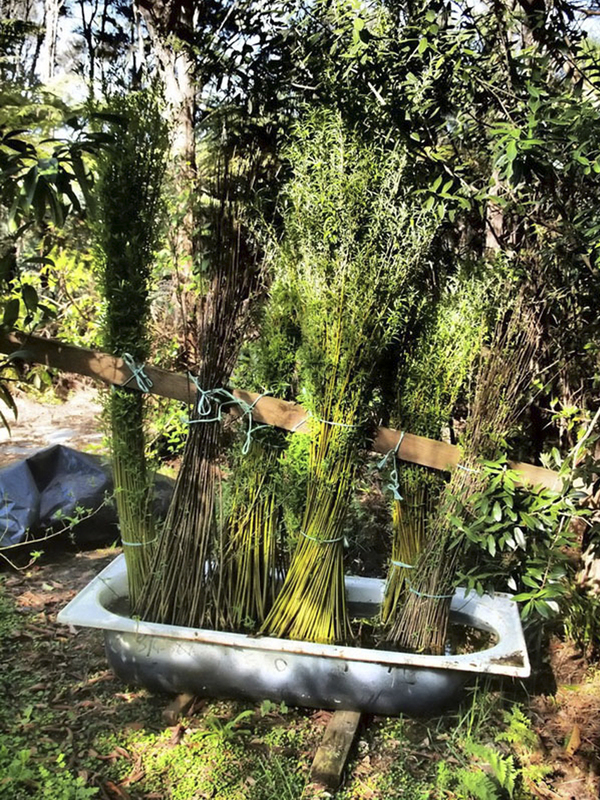 The English osier or basket willow which I grow on our property at Onekaka, Golden Bay is the same basket willow that has been grown in Europe and the UK for centuries. 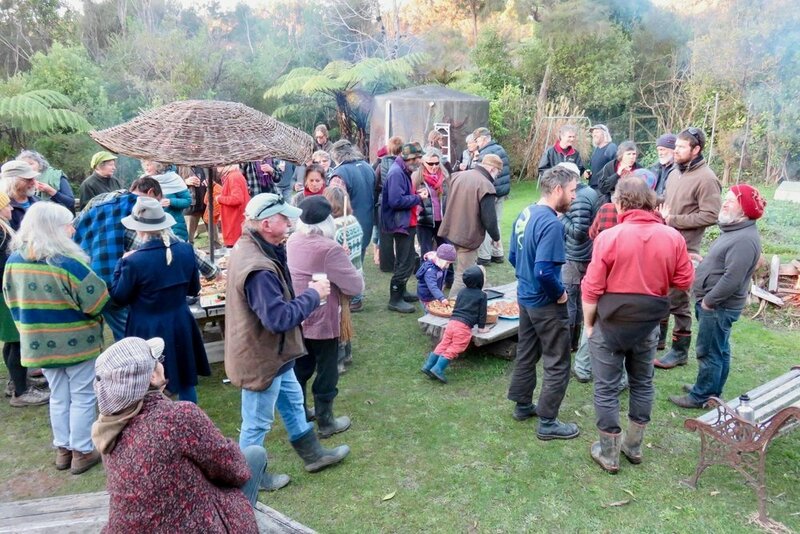 We cut the willows in the winter, an occasion when friends and neighbours gather for a day of harvesting and feasting. Boiled for 12 hours before the bark is removed, the tannins stain the willow to produce buffs. Steamed for just 2 hours and the bark left on, to produce a red/black rod or steamed willow. Stood in water until leaves appear, then stripped to produce whites. 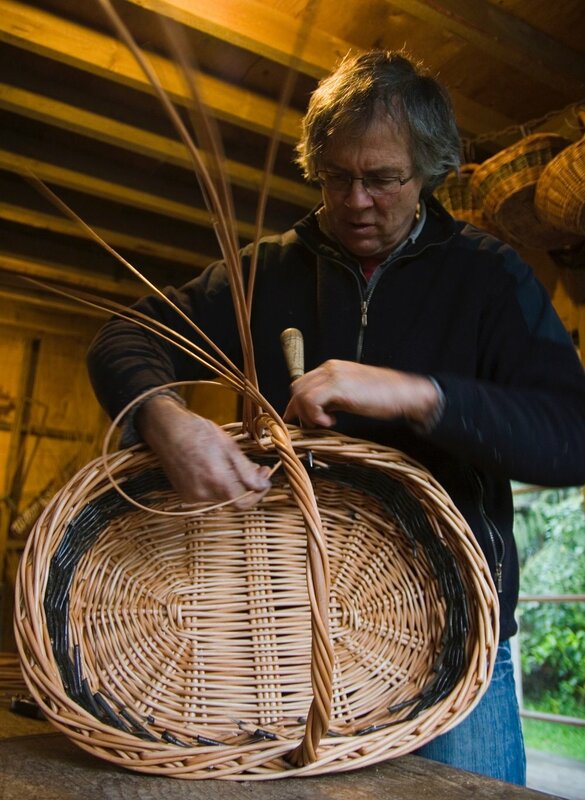 Basket willow is well suited to weaving a variety of items other than baskets eg; shade umbrellas, screens and bean frames for the garden, wreaths, Christmas decorations and a mind numbing variety of sculptural pieces. It is fun to just play with the willow and test the boundaries.